​The fine craftsmanship and attention to detail make a unique statement about the care and extra time we dedicate to every fixture. The meticulous curves, unique angles and mirror-like polished surfaces of fluid™ faucets are unmatched. 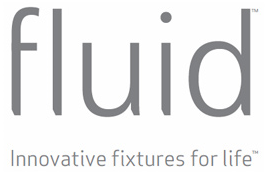 fluid™ faucets have the heft and mechanical action that exudes the quality and integrity of the materials we use. While others substitute plastic, we continue to use brass to ensure our lifetime warranty means something – and that is good for the environment. The complete spectrum of accessories that complement each fluid™ faucet provide a range of products that interior designers, architects and developers can rely on. Imaginatively designed and crafted by artisans, every fluid™ line brings style to life. Click here to learn more about Fluid Sinks.